5 Must-Try BCAA Summer Mocktails! Your summer menu isn't complete without one of these cold, delicious drinks served over ice in a glass (or shaker bottle). Doll up your aminos with fresh fruit and herbs, and prepare to have your mind blown! 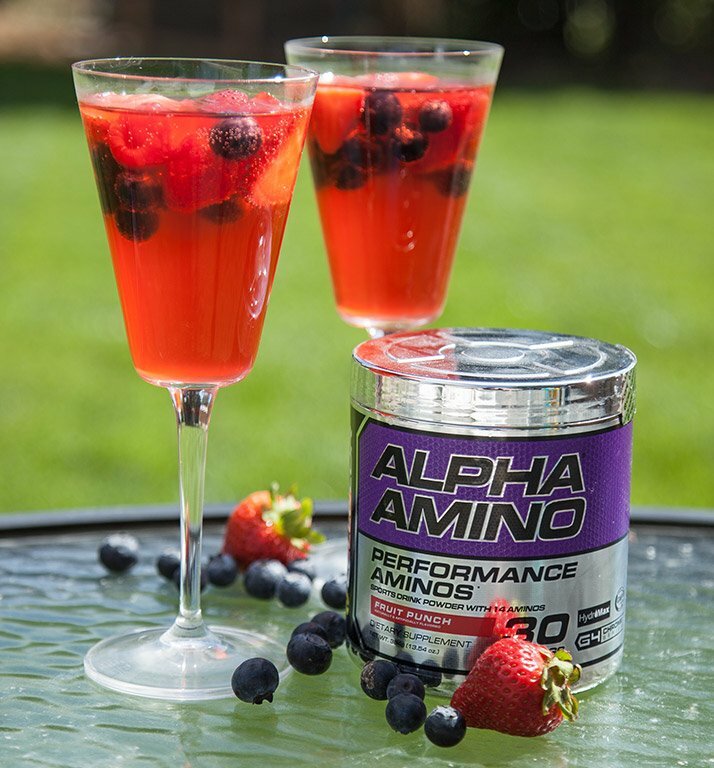 Mocktails using branched-chain amino acids as a mixer are one of the great "why didn't I think of that?" treats of the fitness world. After all, what could be better than your favorite cold, sweet amino drink? The same flavor, only garnished with fresh fruit, fizzed up with soda water, and turned up to 11! This summer, don't feel left out drinking plain water while others indulge in a crisp, refreshing beverage. Join the fun and whip up one of these easy-to-make creations for an invigorating burst of muscle-building flavor. Sangria is a popular summer party drink not only for its alcohol content, but also for the way it packs a one-two punch of flavor and texture. It's a sweet cocktail bursting with tons of little surprises—real fruit! This version is a dead ringer for the drink you'd find yourself sipping—and refilling—at a pool party. Shell out for a fancy ginger ale or ginger beer (both are non-alcoholic) made with real ginger to add even more tang to your new favorite drink! Add all ingredients to glass, shaker or jug in the following order: water, amino acids, berries ginger ale. Stir or shake, serve chilled, and enjoy! Makes two servings. 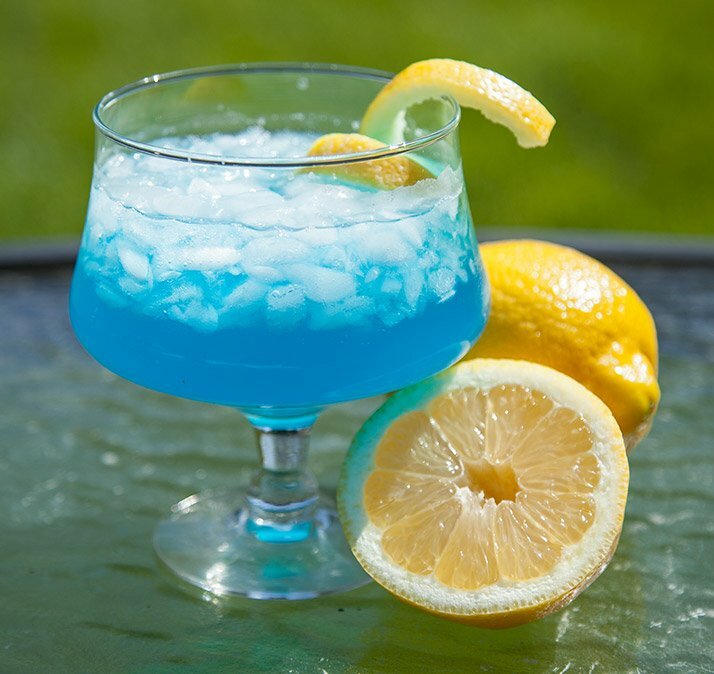 When you combine the sweetness of Icy Blue Razz aminos with a hint of lemon and bubbles, you'll immediately feel as if you're laying out in the sun. Plus, it'll help keep you moving toward that beach bod you desire! Add all ingredients to glass, shaker, or jug in the following order: water, amino acids, crushed ice, soda water. Stir or shake and enjoy! Makes one serving. Premium Formula to Fuel Endurance, Hydration, and Recovery! Go Now! This luscious lemon-lime twist will satisfy that sweet-and-sour concoction you desire without the splurge of calories. Serve it "up" in a martini glass, with some sort of powdered sweetener on the rim of the glass; a number of companies make inexpensive lemon-and-sugar combos expressly for this purpose. If sweet-and-savory is more your thing, use salt! Salt or sweeten the rim of a martini glass by dipping the edge in water first, and then coating. Add water and then aminos to glass. Garnish with lemon and lime slice, and enjoy! This refreshing recipe will bring you to a happy place no matter how your day has been. 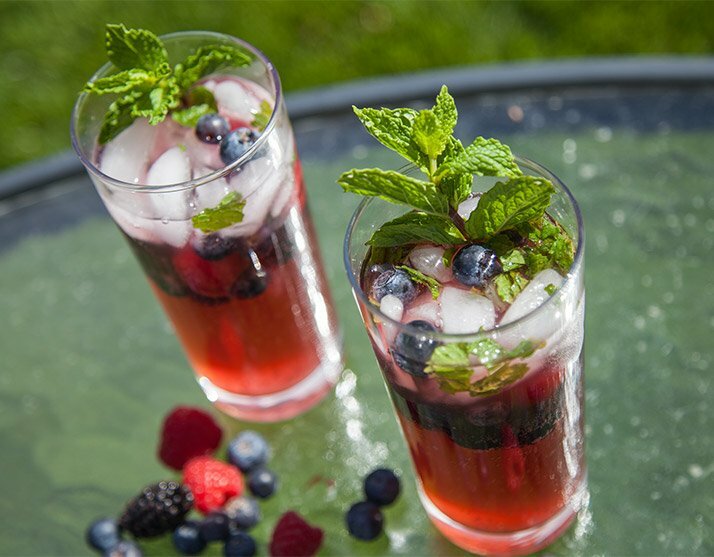 Fresh fruit and fresh mint go hand in hand, and you can further enhance the combo by unlocking the flavor of the mint through shredding or muddling. The easy method is simply to tear the leaves by hand and rub them lightly between your fingers before putting them in the glass. If you've got some bartending chops, put the mint leaves in the bottom of the glass along with the amino powder and grind them lightly with a muddler or the end of a rolling pin until they're fragrant. Add all ingredients to glass, shaker, or jug in the following order: water, amino acids, berries, mint leaf, soda water, and ice. Garnish with mint leaves as desired, and enjoy! No backyard barbecue is complete without a refreshing drink in hand. The combination of in-season watermelon and crisp cucumber is amazingly good on its own, but even better with a little fresh basil. Plus, watermelon is one of the world's premiere sources of the amino acid citrulline, so slugging down this drink pre-workout might even give you a better pump! 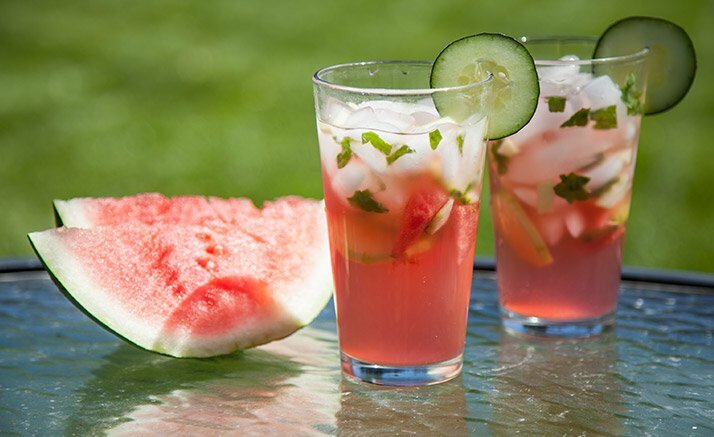 Add all ingredients to glass, shaker, or jug in the following order: water, amino acids, watermelon, cucumber, basil leaf, soda water, and ice. Garnish with additional cucumber as desired, and enjoy! 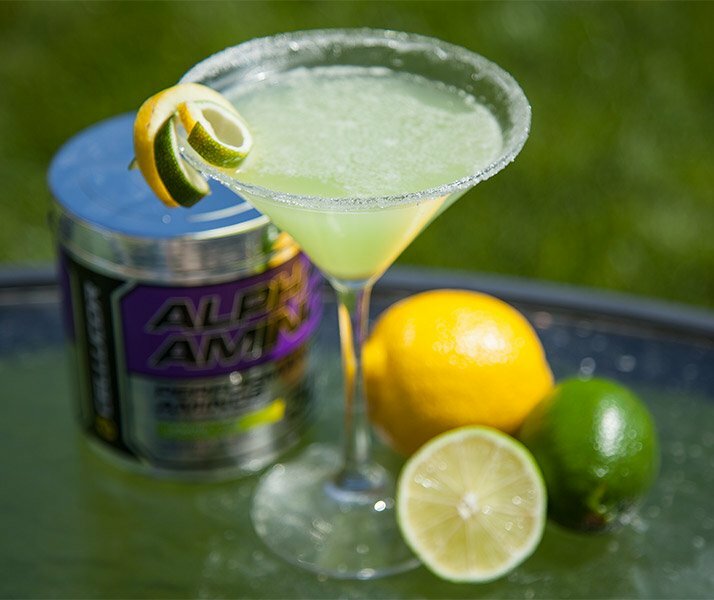 For even more delicious BCAA mocktail recipes, check out "7 Refreshing BCAA Mocktail Recipes."